Helping people develop their relationship with God is a privilege and an honor. I feel relationships are the core of ministry as they enhance and develop our faith. Visiting people at home, in the hospital, talking with people in my office, in the hallway at church, or at the grocery store are all part of caring for people and building relationships. One of my strongest traits is that I enjoy being with people. Some folks would say I am a “people person”. I enjoy working with adults and children of all ages. 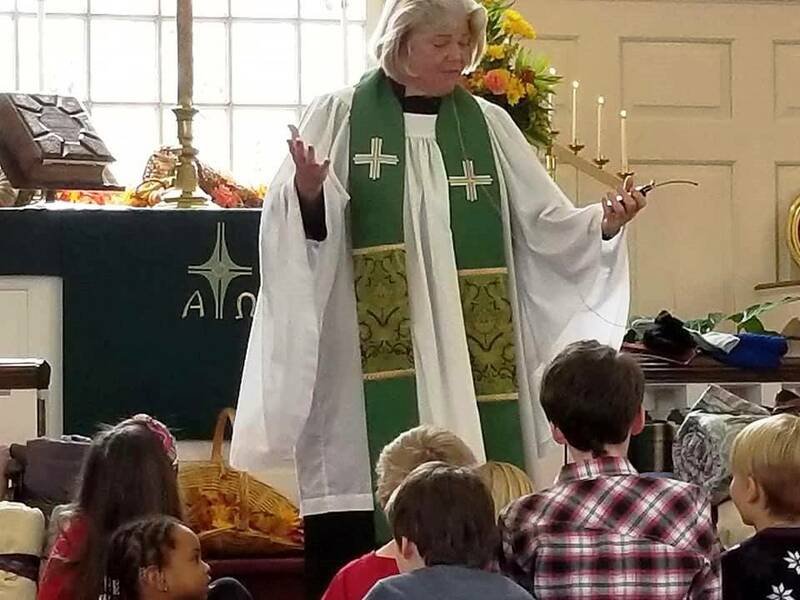 Whether it is developing curriculum for church school, creating a children’s worship program, teaching confirmation, or leading Bible study each brings an enhancement to ministry. Leading worship is an opportunity I treasure. There is a special bond that develops through worshipping together. I enjoy the traditions of our historical liturgy and also the challenge of integrating and creating new liturgy. To know a congregation and to worship together through all the ups and downs of life is a special gift, which I cherish. As the future unfolds, I hope to respect and carry the traditions that are our foundation, as well as, keep open the vision of a future that embraces the love of God to the here and now world, in which we live. I have been serving St. John’s Grace since November 2008, coming from a varied background which includes military leadership, corporate management, and non-profit operations, as well as studies at Gettysburg Seminary. I feel right at home here because of the extravagant welcome my family and I have received from the members and friends of St. John’s Grace when we began coming to worship years earlier, the same welcome that is extended to everyone who visits here once or stays for a lifetime. As Administrator and Member-in-Discernment, I am blessed to be involved with many of the ministries which are part of St. John’s Grace. The best part is working with so many wonderful people as we do everything from preparing an annual budget and trying to keep up with maintenance issues, to planning an outreach event and participating in worship. St. John’s Grace United Church of Christ is truly a unique place of love, stewardship, and ministry, and it is exciting to be a part of this outreach to our local community and beyond. We have what the world needs, and we offer it with humility, with fun, and with gracious welcome for all.